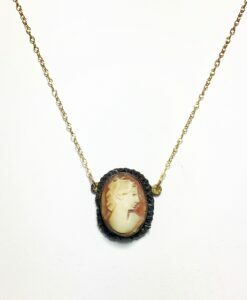 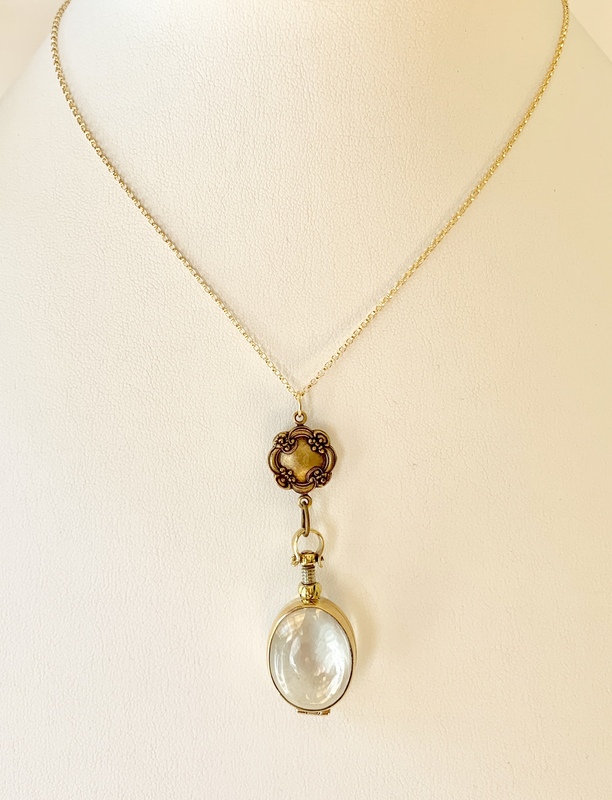 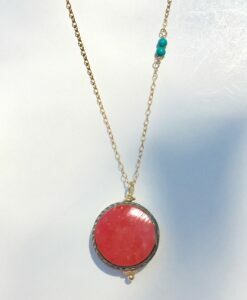 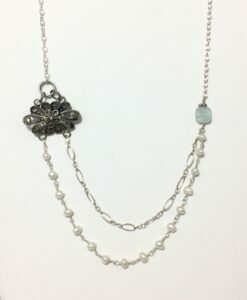 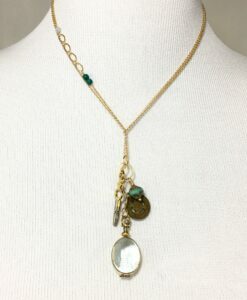 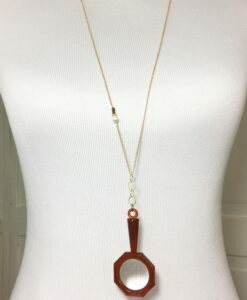 A glass locket that can be filled with dried flowers or a photo hangs from a lovely floral connector and 14k gold-filled 17.5” chain. 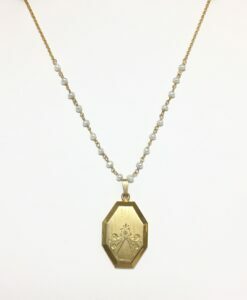 Locket is about 1”. 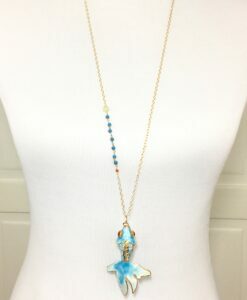 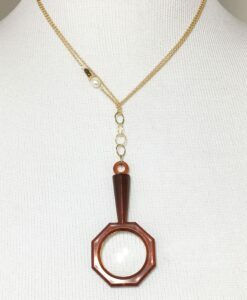 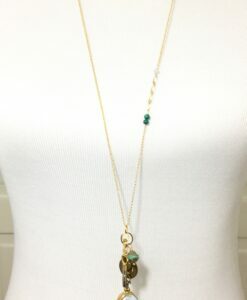 Total length of pendant is over 2 inches. 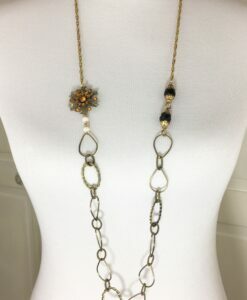 Length of chain can be changed on request.